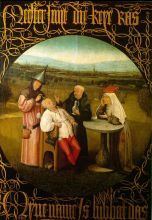 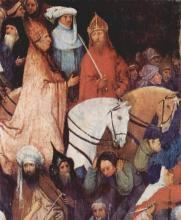 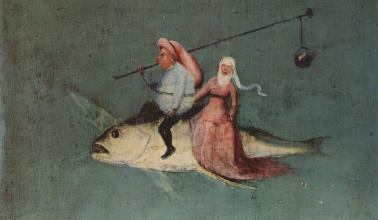 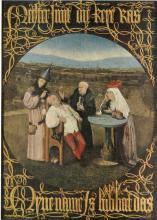 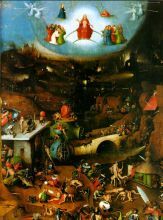 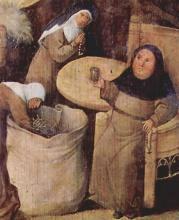 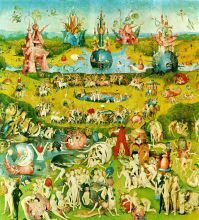 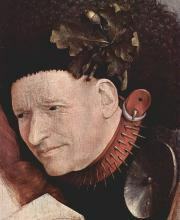 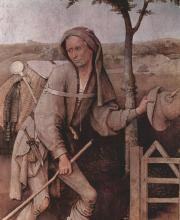 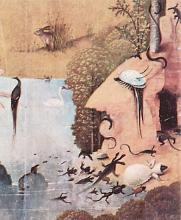 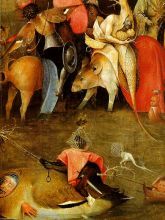 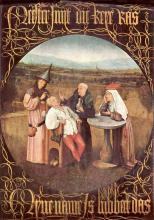 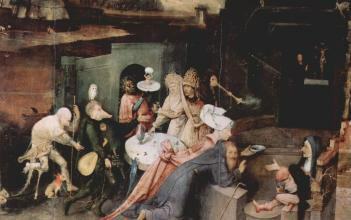 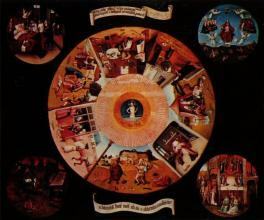 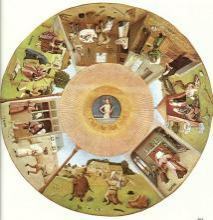 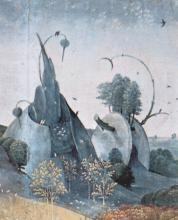 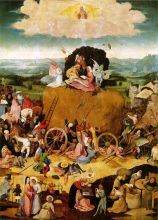 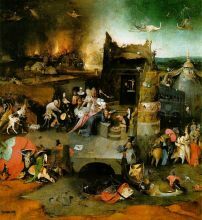 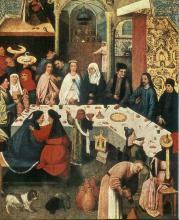 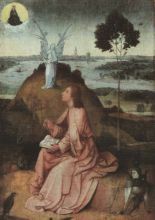 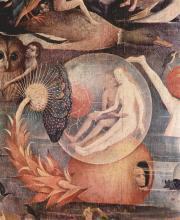 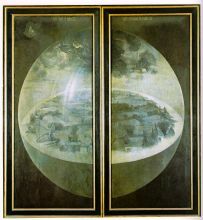 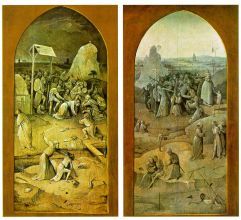 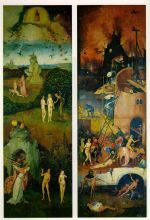 Hieronymus Bosch, (latinized Jheronimus Bosch; his real name Jeroen van Aken) (c. 1450 – August 9, 1516) was an Early Netherlandish painter of the fifteenth and sixteenth centuries. 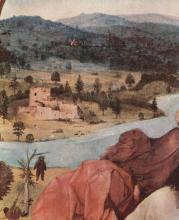 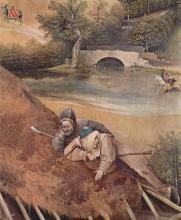 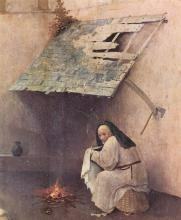 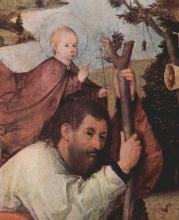 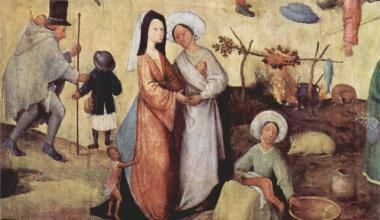 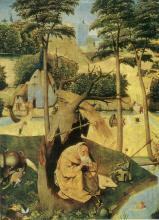 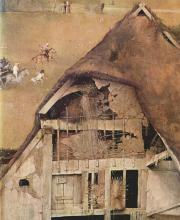 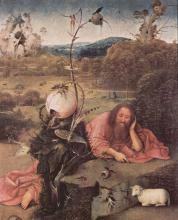 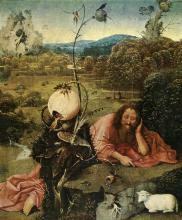 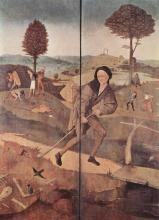 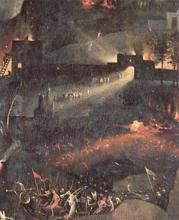 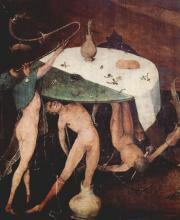 Many of his works depict sin and human moral failings. 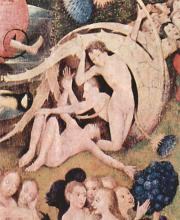 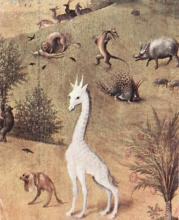 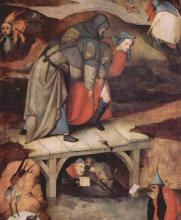 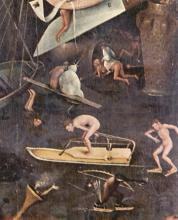 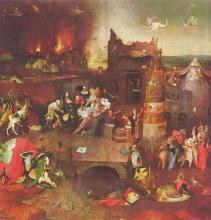 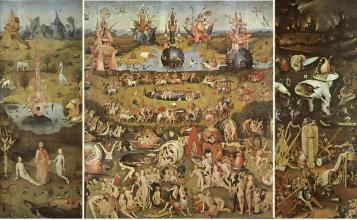 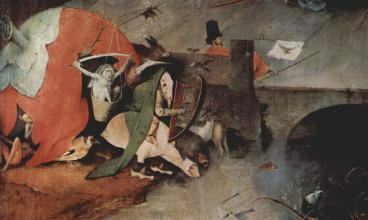 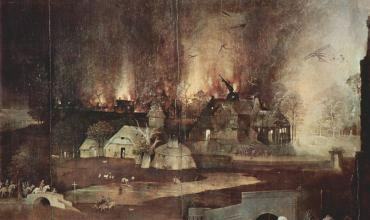 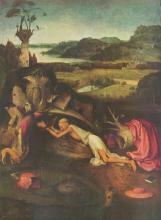 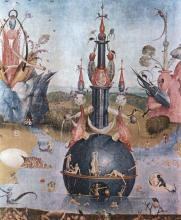 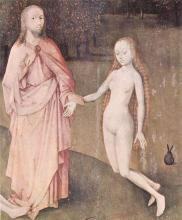 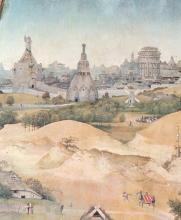 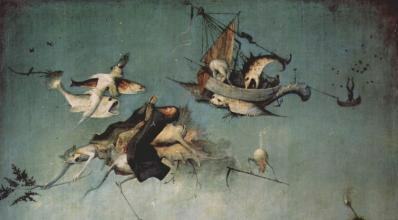 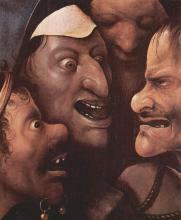 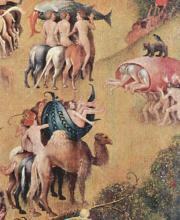 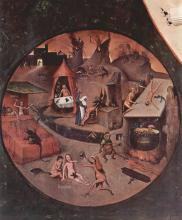 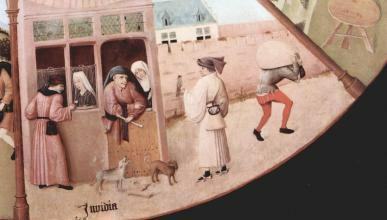 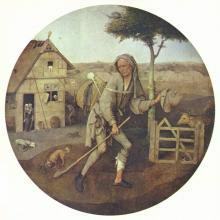 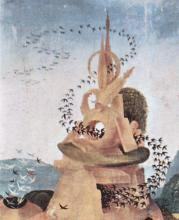 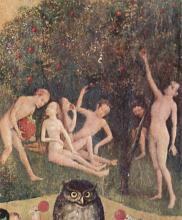 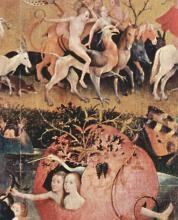 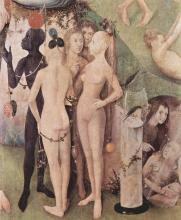 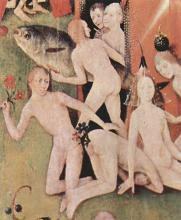 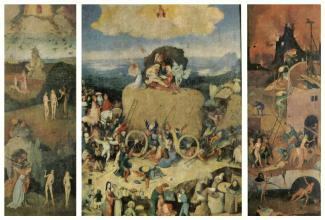 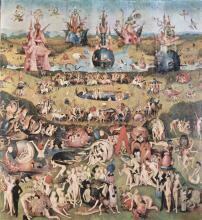 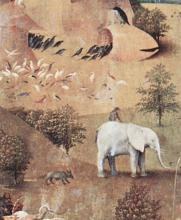 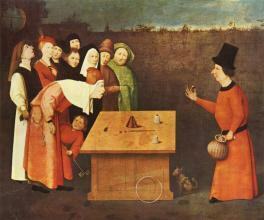 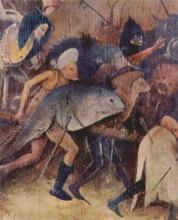 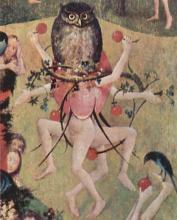 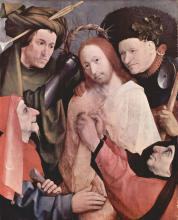 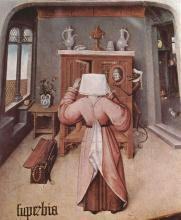 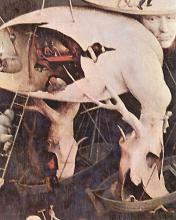 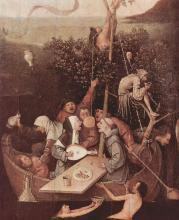 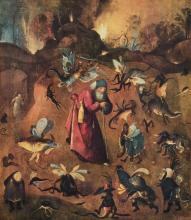 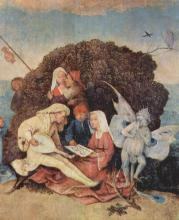 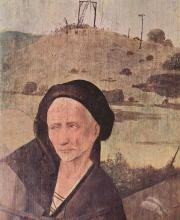 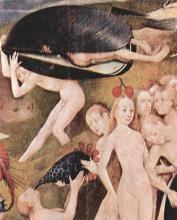 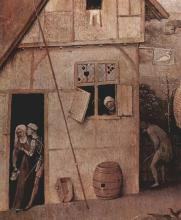 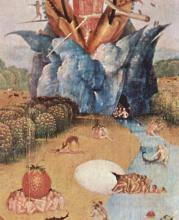 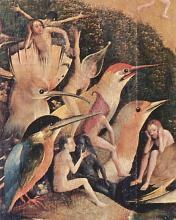 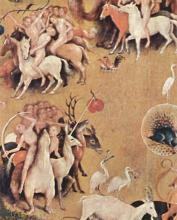 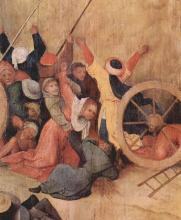 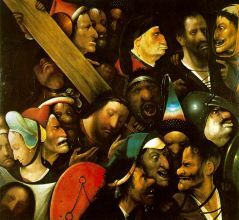 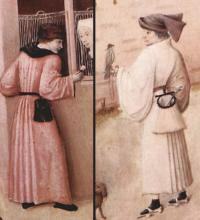 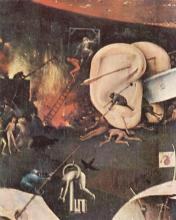 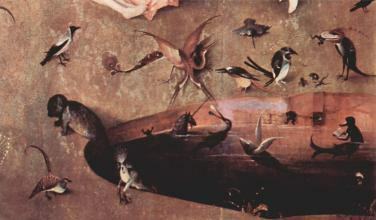 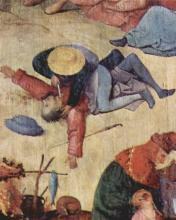 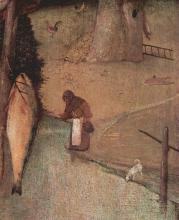 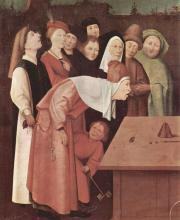 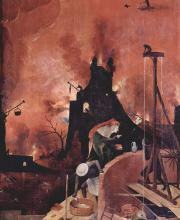 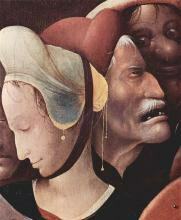 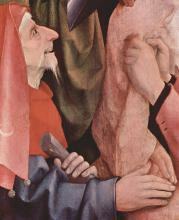 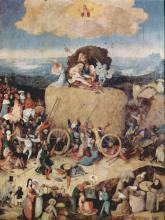 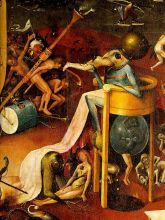 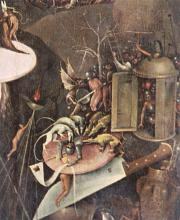 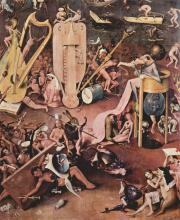 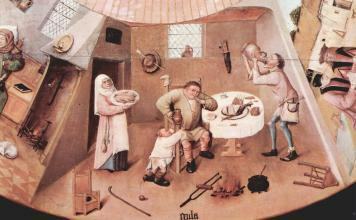 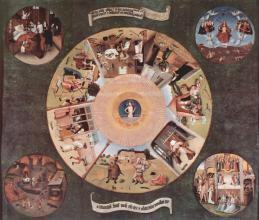 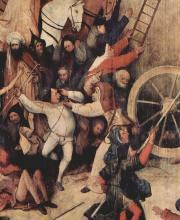 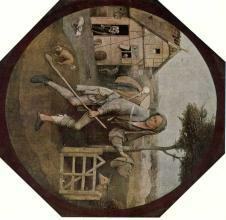 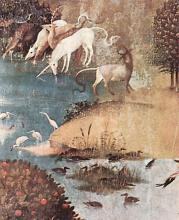 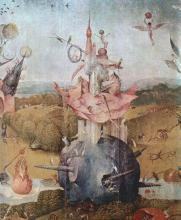 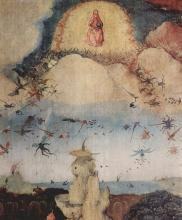 Bosch used images of demons, half-human animals and machines to evoke fear and confusion to portray the evil of man. 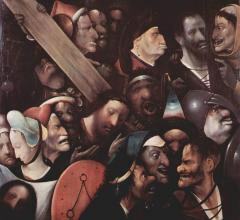 The works contain complex, highly original, imaginative, and dense use of symbolic figures and iconography, some of which was obscure even in his own time. 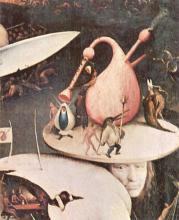 He is said to have been an inspiration for the surrealist movement in the twentieth century.